2015 marks the 50th anniversary of former British Prime Minister Winston Churchill’s death. 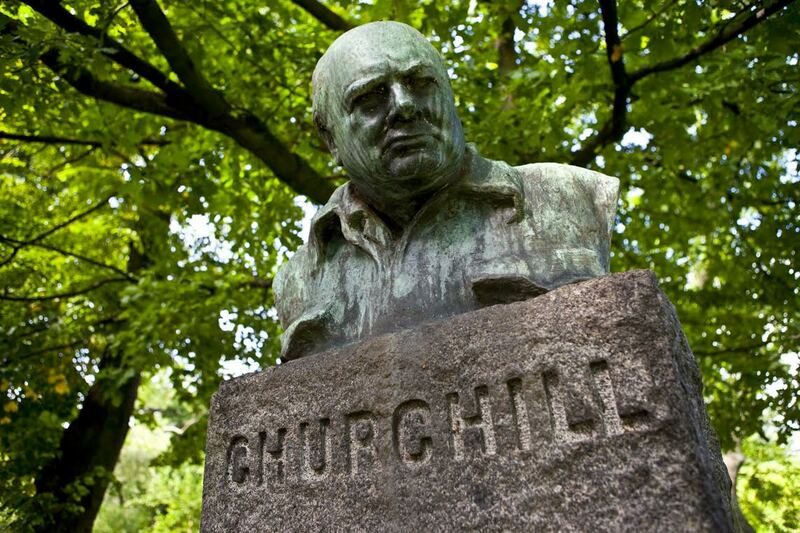 Churchill passed away on January 24, 1965, but his memory lives on. Winston Churchill wore many hats during his lifetime. He was an officer in the British army, a historian, a Nobel Prize winning writer (1953), and an artist. He was even the first honorary citizen of the United States (1963). 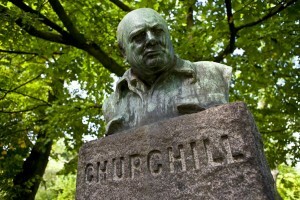 Still, Churchill is remembered most as one of the greatest wartime leaders of the 20th century. It was Churchill’s actions during the Second World War that forever cemented him in the history books. Churchill became Prime Minister on May 10, 1940, the same day that Germany and Hitler invaded France and the Low Countries. Churchill’s policy was simple: “victory at all costs” through “blood, toil, tears and sweat.” This strong stance and steadfast refusal to accept defeat helped raise British morale when it needed it most, especially during the difficult early days of the war. Churchill was particularly popular for his speeches and radio broadcasts, which helped inspire the British people and encourage the United States to join the cause. Churchill remained Prime Minister until the war was over, at which time Clement Attlee took over. Churchill was once again elected Prime Minister in 1951, before poor health forced him into retirement in 1955. Still, Churchill remained a member of Parliament until June 1964. He passed away less than a year later, on January 24, 1965. What Are the Churchill War Rooms? The Cabinet War Rooms. The War Rooms, which were constructed just before the outbreak of WWII in Europe, between 1938 and August 1939, were the underground command center of the British government during World War II. The War Rooms remained in operation throughout the war, before being abandoned after the surrender of Japan in August 1945. After the war, the historic site was preserved and finally opened to the public in 1984. The Churchill Museum. The Churchill Museum, added to the Cabinet War Rooms in 2005, explores the entire life of Churchill, from childhood through the Second World War and beyond. AESU offers several trips to London: Cosmopolitan, Explorer, Euro Focus, Great Escape, and Euro Spree. Click Here to take a look at all of our trips! This entry was posted on Thursday, February 5th, 2015	at 8:39 pm	. You can follow any responses to this entry through the RSS 2.0	feed. Both comments and pings are currently closed.